Colin Davis conducts the London Symphony Orchestra in Beethoven's Piano Concerto No 5 in E flat (Emperor), featuring soloist Mitsuko Uchida. Sir Colin Davis leads the LSO on its journey through all of Nielsen's symphonies. In tonight's programme Nielsen is accompanied by Beethoven and Haydn. In the first of his London symphonies, Haydn surprises us with some cheeky bassoon scoring as well as a quotation on the oboe from Mozart's Don Giovanni. Nielsen's Third symphony is one of his most-performed works. The 'Espansiva' of the title refers to the first movement and to Nielsen's belief that music is made of internal forces that transcend their outer boundaries. 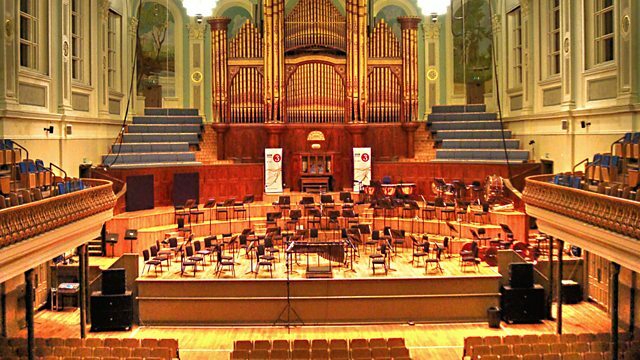 As well as lofty ideals, the symphony includes references to the sights and sounds of his childhood and a rousing folk-inflected conclusion. The powerful, heroic themes of Beethoven's last piano concerto led Beethoven's friend and fellow composer Johann Baptist Cramer to give it the name 'Emperor'.